When a 7.2-magnitude earthquake struck Bohol on October last year, neighboring provinces in Central Visayas in the Philippines felt strong tremors. In February 2012, a 6.7-magnitude earthquake struck close to home in the city of Guihulngan, Negros Oriental. And year after year, an average of 8 to 9 tropical storms hit the country. 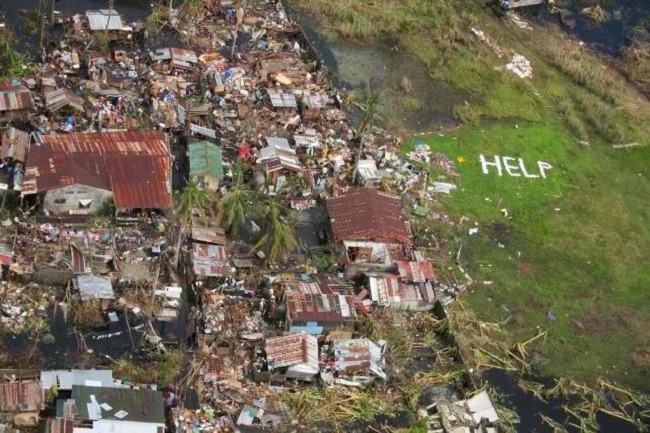 Typhoon Yolanda, or Haiyan as it is known internationally, left thousands dead, missing or misplaced and wrecked destruction to both infrastructure and livelihood of the people living in the hardest hit parts of the country. BBC has called Yolanda “the deadliest natural disaster in the country’s history”. The Philippines, situated just along the Pacific Ocean, would like to think that it’s used to the frequent typhoons that pass along. But time and again, nature reminds its people just how devastating a tropical typhoon can be. And much more so if it catches Filipinos unprepared. As one ad puts it, real disaster is the lack of information and preparedness. The Batingaw app was created along this vein. Batingaw app was commissioned for disaster awareness and management by the National Disaster Risk Reduction and Management Council (NDRRMC), the Philippine government agency “responsible for keeping the country safe from disasters and ensuring quick recovery afterwards”. 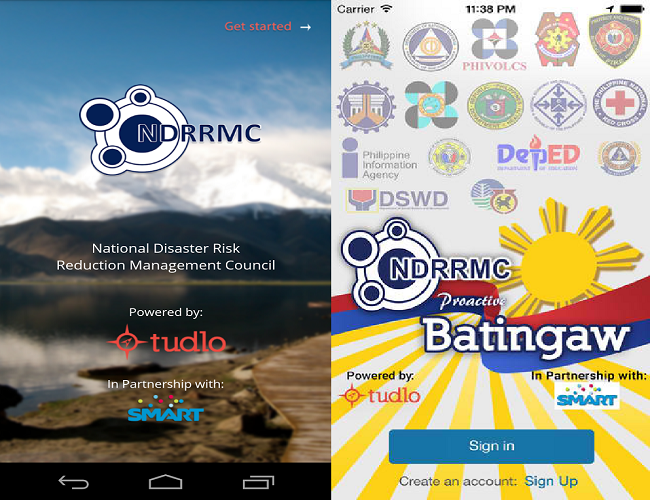 Together with Smart, Philippines’ leading wireless provider, the NDRRMC launched the app on July this year. It is available for both Android and iOS users. 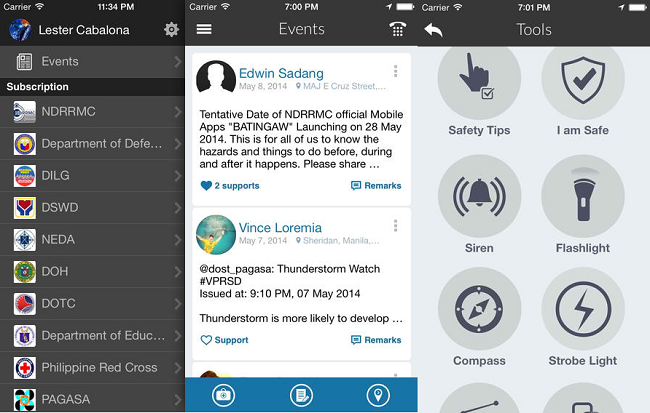 Image Credit: Tudlo Innovation Solutions Inc.
Batingaw is Tagalog for “siren”, which reveals what the app endeavors to achieve. It is described as a communication tool that aims to reduce the effects of both natural and man-made disasters in vulnerable communities. The app was created by Tudlo Innovation Solutions Inc., a Cebu-based startup that was a finalist in last year’s IBM SmartCamp and the winner of ITU Telecom World 2013 Young Innovators Competition. Tudlo previously created another disaster management app, Pindot, for the Philippine province of Albay. One-stop shop for Twitter updates from disaster-response agencies like NDRRMC, PAGASA, MMDA, DSWD, PHIVOLCS and Philippine National Red Cross, among others. The Batingaw app’s features are all well and good. However, there is a major problem with how the app works that could put off a number of users. Its ‘I’m Safe’ feature, for example, needs a connection or signal, and sending your geolocation with Google Maps needs location-based tracking to work. Also, the app consumes battery quickly, so charging your smartphones could be a problem in an area where there is no power supply. The app has received more than 100 reviews at Google Play Store, most of which are in the 4-star to 5-star range. The app is far from perfect though, and reviewers have voiced suggestions for the developer to implement in future.